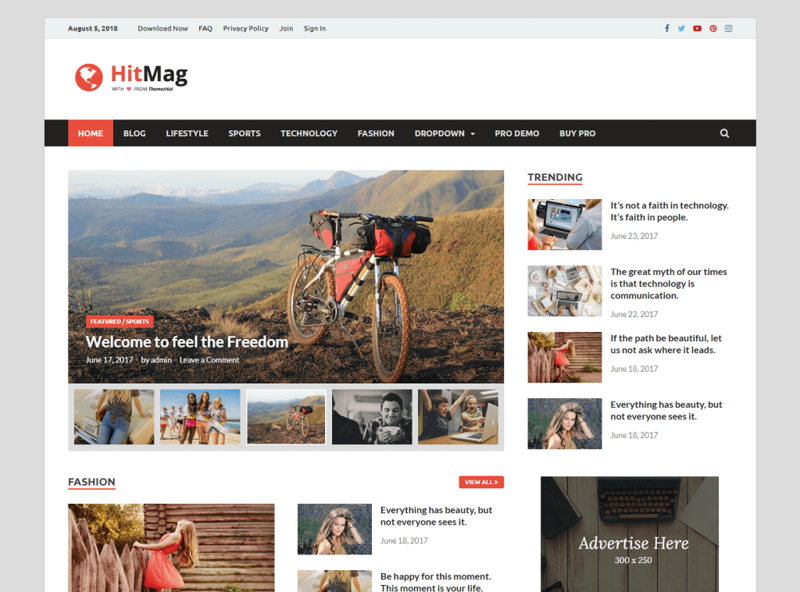 HitMag is a modern, clean, powerful and fully stylish theme. HitMag is designed for magazines, newspapers or personal blogs. HitMag comes with a handful of options to customize your site the way you want. Free version has included a magazine homepage layout, 4 different style blog listing layouts and main color options. HitMag theme also has features like author details box, Related posts after articles and control post metadata. All those features and options ensures that HitMag is not just another free WordPress theme but a powerful theme that fulfills all of the basic needs. HitMag is fully responsive which is looks good in all type devices.